Another boat reversed into one of the berthing bays not far from where Ru stood. He watched the wake spread across the lagoon to the bank in front of the car park, where the water rounded at its edges and formed the continuum of a basin. The ripples raced across to the islands; the rushes shuddered and were sucked beneath the water; seconds later they sprang back in surprise. First-time Kiwi crime writer Carolyn Hawes brings her hometown of Westport, on the 'wild West Coast' of New Zealand's South Island, to vivid life in this engaging murder mystery. It's a small town, isolated from the cities by hundreds of miles of winding roads over or around the Southern Alps. That isolation plays a part in this book, which has a somewhat gothic feel. Westport is a place with a fascinating, rugged history, a frontier type of place that some locals dream of escaping from, and others have escaped to. 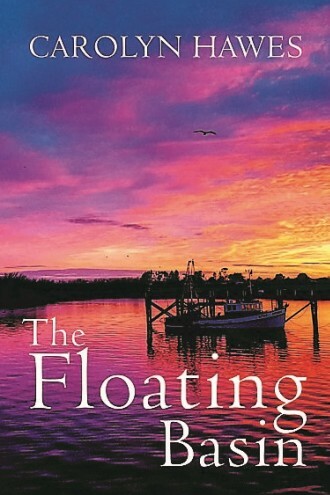 When a body emerges from the town's tidal lagoon, the eponymous floating basin, local cop Ru Clement is tasked with finding the killer. As you'd expect with a small-town murder mystery, there are plenty of secrets being kept behind closed doors, even in a place where people feel like they know lots about their neighbours. There's also an eclectic cast of characters befitting such a place, an interesting mix of personalities that rings true even if it might seem quirky or bizarre to readers who've only ever experienced city life. Overall, I thoroughly enjoyed this read. Hawes has planted her first authorial foot firmly, with a very solid debut. She shows a really good touch for the West Coast setting, and has a nice writing style that flows along pretty effortlessly, as well as a good storytelling sense and feel for dialogue. The characterisation in THE FLOATING BASIN is good - Clements is a decent 'hero' who doesn't overwhelm the rest of the cast, which provides plenty of flavour and interest. Having lived in smaller places in New Zealand's South Island as well as cities around the world, and having explored the West Coast a few times, the sense of character and place that Hawes evoked rang very true to me. 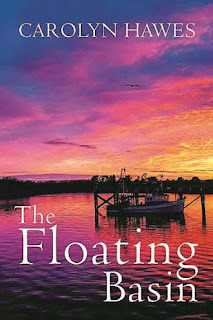 Hawes definitely has something to offer as a crime writer, sometimes it felt like she was kind of feeling her way into it with this debut, dipping her toes into the lagoon to see how she fared. I certainly hope she continues and writes more, whether a series with Clement and his fellow Westport cops at the core, or other West Coast crime tales. There's plenty to like about this debut Kiwi crime novel: a good sense of place, interesting characters, and solid mystery. Worth a look.